As we celebrate Martin Luther King Jr. Day, today, we celebrate a man who God used as a light in darkness ― as a man who bravely faced the evil of mankind head-on. Over the years I’ve seen many people misrepresent who they believe Dr. Martin Luther King was. In today’s times we forget that He was a man who was rooted in the solid foundation of God’s Word. It was the basis of all of his beliefs that God used to change a nation. God’s Word is what unifies the divided; it heals the broken; it brings peace amid hostility; it is the love that can blanket all hate. Jesus Christ was the Prince of Peace who can heal all hearts. 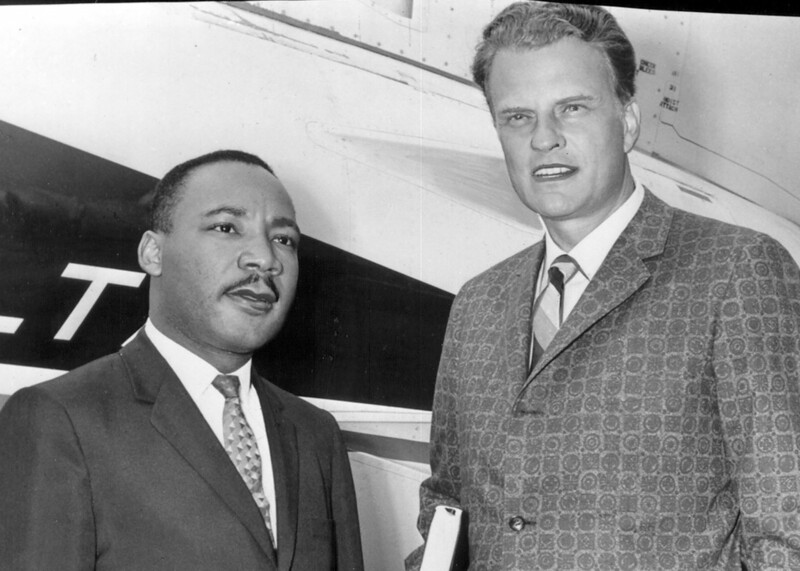 Dr. Martin Luther King Jr. and my grandfather together helped critically change a nation with the Gospel of Jesus. “Let us pray. Oh God our heavenly Father out of whose mind this great cosmic universe has been created towards whom the weary and perplexed of all generations turn for consolation and direction. We come before Thy Presence this evening thanking thee for the many blessings of life. We come recognizing our dependence on Thee. We also come, Oh God, with an awareness of the fact that we have not always given our lives to that which is hard and noble. In the midst of all the hard and noble aspects of justice we followed injustice. We stand amid the forces of truth and yet we deliberately lie. We stand amid the compelling urgency of the Lord of love as exemplified in the life Jesus Christ yet we live our lives so often in the dungeons of hate. For all of these sins, Oh God, forgive. And in these days of emotional tension when the problems of the world are gigantic in extent and chaotic in detail give us penetrating vision, broad understanding, the power of endurance and abiding faith and save us from the paralysis of crippling fear. Oh God, we ask you to help us to work with renewed vigor for a warless world and for the brotherhood that transcends race or color. Today, I pray that the example set forth by these godly men will continue spark conversations and actions that will bring healing during divisive times. That we will choose to stand boldly on God’s Word like Dr. Martin Luther King Jr., and practice the love of Christ in all that we do.